Ian, Joe and Kwaku visited this thriving church in Colchester and presented their testimonies at two meetings in the morning. Both were well attended and there was a great response to the message. Many people responded to the gospel challenge and we pray that these people will go on to become committed disciples of our Lord Jesus Christ. 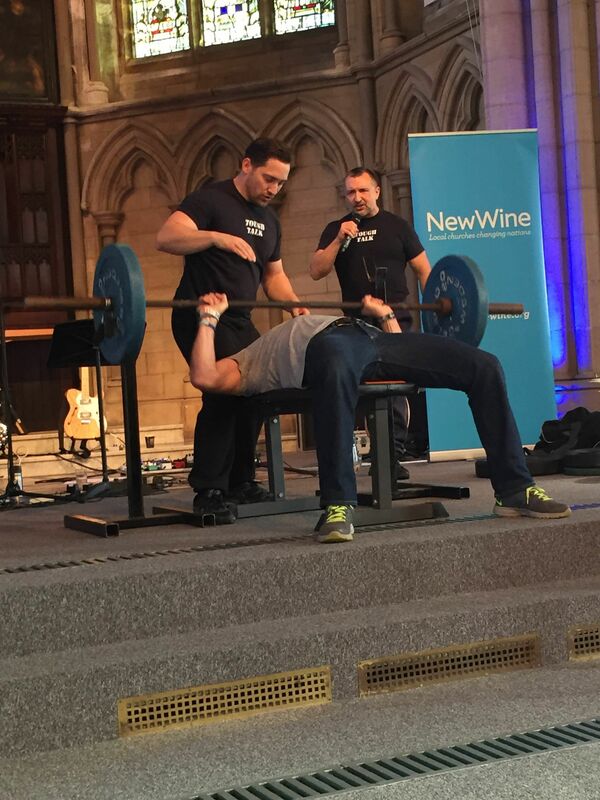 Ian, Joe and Adam were the Tough Talk team for the New Wine meeting on 14 November in St Barnabas’ church in Kensington. 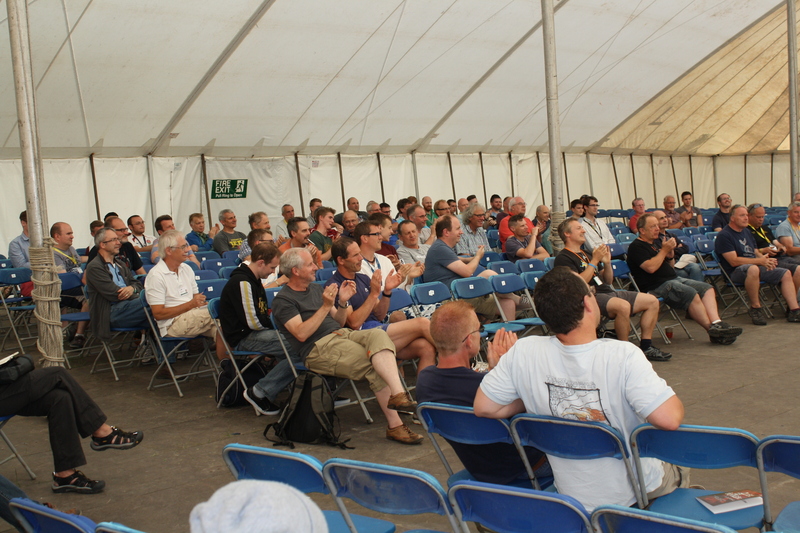 There was an enthusiastic crowd of over 250 men who heard Joe share his testimony. 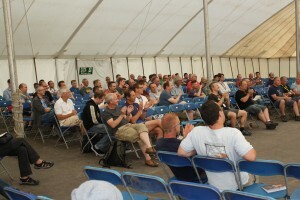 Many men responded to Ian’s gospel challenge at the conclusion of the meeting and the team prayed for several men afterwards. Ian and Joe joined more than 200 men at the “Confident and Strong” men’s conference at St George’s Church Leeds. There was a great response to their presentation and there were many commitments in response to the gospel challenge. Several men requested prayer after the meeting, As usual, there3 was a good demand for Tough Talk books. 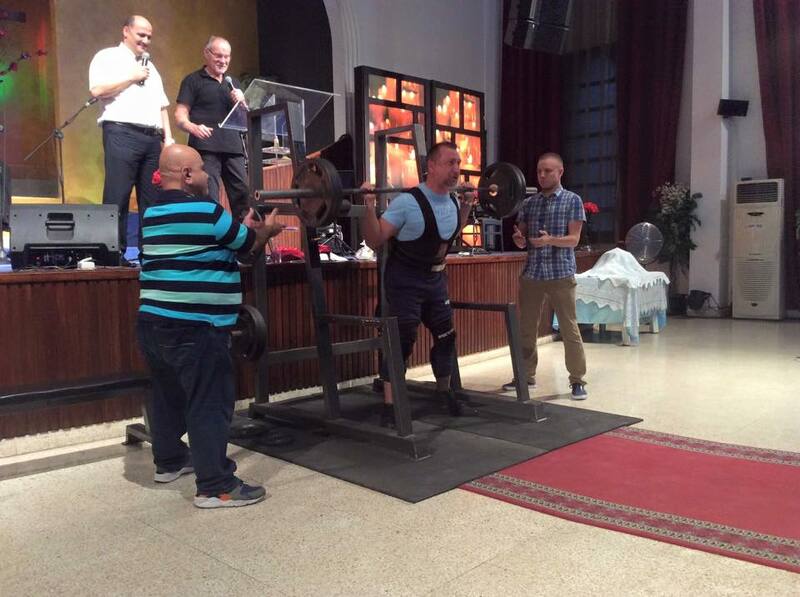 Ian McDowall and Arthur White, accompanied by Luke Derbyshire accepted the invitation from two churches in Beirut to visit them and to share their testimonies and present the gospel of our Lord Jesus Christ. The meetings were well attended and the guys were able to powerfully share the gospel. Among those responding to give their lives to Jesus Christ were two Syrian muslim women, who were refugees from the troubles in their own country. 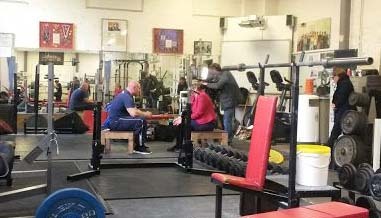 On October 14th, Ian McDowall, Joe Lampshire and Chris Sayers visited a well-known gym in East London to be interviewed and filmed by a film crew working for the Church of England. The Church of England’s project is to produce a short film focussing on the Lord’s Prayer with a view to it being shown before the showing the new Star Wars film at cinemas across the country. Not surprisingly, the team was asked to consider the phrase ” Thine is…..the power and the glory”. 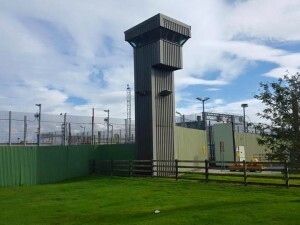 However…….there is some opposition to this proposal and the BBC religious affairs department have decided to make a programme following the project’s fate. Hence the presence of the BBC film crew as well! If successful, the showing of this film will be a massive advert for the Christian message in this country and Tough Talk will get some valuable publicity too. The team were invited to visit Belfast by a group of Elim churches to present meetings at their churches and at a local prison, HMP Magillian. 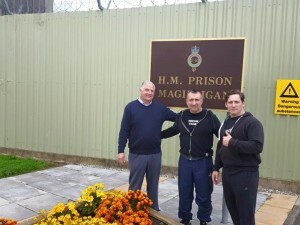 The team were well received by around 60 prisoners who heard the gospel clearly presented. 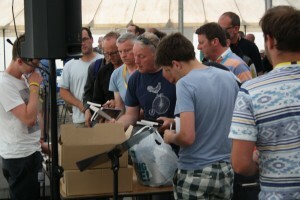 The men were prayed for and several Tough Talk books were given out. Friday evening, October 9th: New Life City Church. a large group of people from both the protestant and catholic communities. Saturday morning October 10th: Portadown Elim Church. 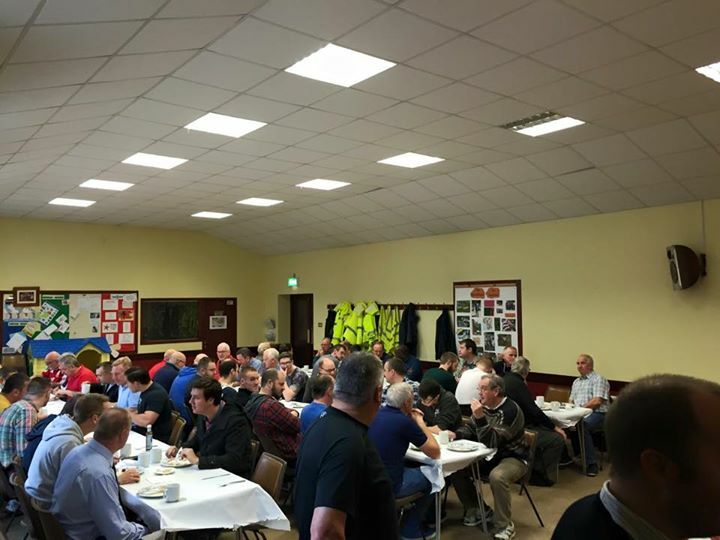 Around 60 men were present at the early morning breakfast meeting in Portadown Elim. Saturday evening October 10th: Ballysillan Elim Church. 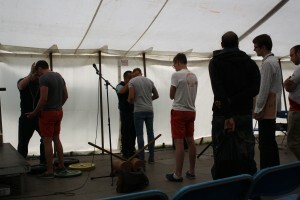 Several people responded to the gospel challenge made at the end of the team’s presentation in this small Elim church. Sunday morning October 11th: APA Elim Church. Ian and Joe shared their testimonies and made a gospel challenge during the morning meeting. As part of his testimony, Joe described his challenging experiences of the occult. 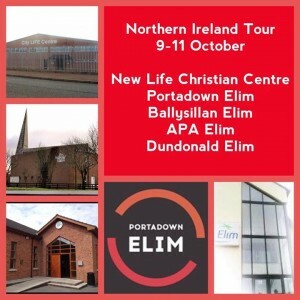 Sunday evening October 11th: Dundonald Elim Church. The team’s final meeting of a very busy weekend was at the modern Dundonald church. Several hundred people were present and many responded to the gospel challenge. A number of people received prayer at the end of the meeting. Ian and Joe gave Tough Talk presentations to two men’s meetings at NEW WINE, Shepton Mallet on July 27 and August 3 2015. Both meetings were well attended and there was a good response to the message and the gospel challenge. There was a great demand for books and DVDs and many men requested prayer at the end of the session. 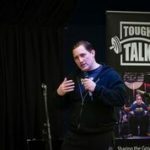 A Tough Talk team recently visited HMS Nelson at the Royal Navy Base in Portsmouth which is at the heart of the city of Portsmouth and has been an integral part of the city since 1194. The base is home to almost two-thirds of the Royal Navy’s surface ships, including the aircraft carriers, Type 42 destroyers, Type 23 frigates and a mine countermeasure squadron, as well as fishery protection and training units. 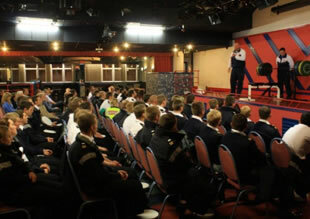 The initial invitation to the base was received from the Fleet Chaplaincy at HMS Nelson and was hosted by the Naval Christian Fellowship. 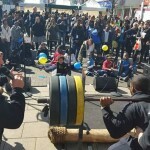 Members of the audience participated in a very lively benchpress competition. We have since received reports of the meeting and we learnt that several of those there were challenged to think about the claims of Jesus and two have since decided to make their faith public by being baptized. The audience consisted of naval recruits and other sailors and staff. The team consisted of Arthur White, Simon Pinchbeck and Joe Lampshire. During the evening, all three men gave their testimonies. 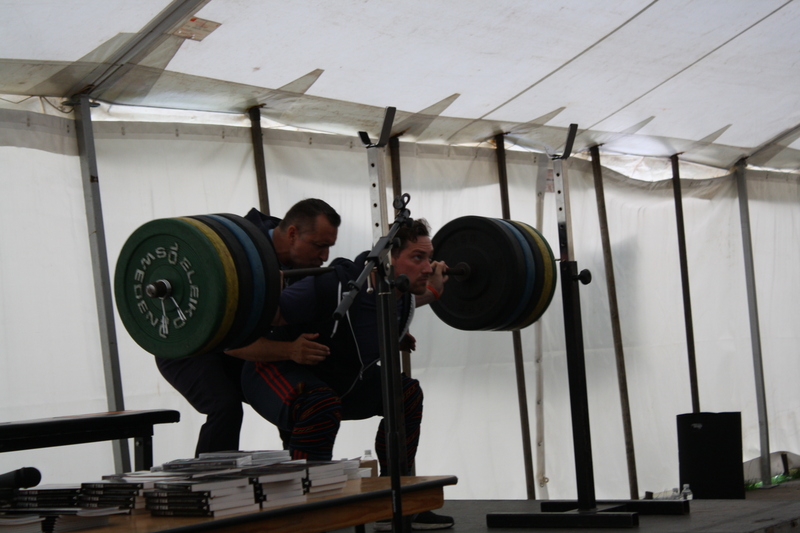 Joe demonstrated the bench press and at the end of his demo there was 180kg on the bar. A Tough Talk team consisting of Ian, Arthur, Simon and Mike left Stansted early for a visit to the British Army barracks in Gutersloh, Germany. This is a very large establishment with thousands of soldiers ( and also families)and is the headquarters of the 26th Regiment Royal Artillery.We were invited there by William Wade who works for the Soldiers and Airmen’s Bible Reading Association (SABRA) and the Padre of the Regiment. At the end of ther meeting, Ian presented a very powerful gospel challenge and we all sensed that the soldiers were listening very attentively. We pray that many will give their lives to jesus Christ as a result of hearing the testimonies and the gospel challenge. In the evening, the team presented a Tough Talk demonstration at St Barbara’s Church on the Barracks. The meeting was arranged for soldiers and their families and again, the guys presented their stories, Ian did a squat demonstration and concluded the meeting with a powerful challenge. Many responded to the challenge for which we praise God! After the meeting, the team was whisked away for a 2hr drive to Dusseldorf airport to get a few hours sleep before a very early flight back to the UK and to work! 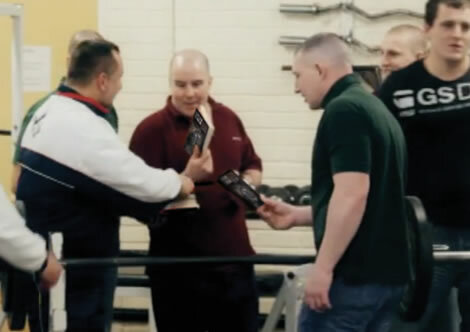 Many of the soldiers we met were receiving training before leaving to join the other British soldiers in Afghanistan. Well over 100 soldiers joined us in the gym for a Tough Talk presentation. Simon then gave his testimony to the soldiers. 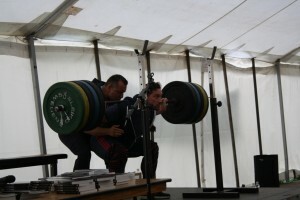 He then introduced the bench press competition which was won by a very impressively powerful member of the audience. The meeting was concluded by Ian with a powerful gospel challenge. A few of those present responded to the challenge to let Jesus Christ into their lives. Koya, Ian, Simon and Adam. 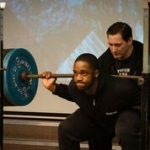 Simon gave his testimony as Koya demonstrated the squat. Adam also gave his story to the audience. Downham Market, September 2010The guys gave a Tough Talk presentation at the SOLID 2010 conference in Downham Market. They shared the day with the evangelist J John. 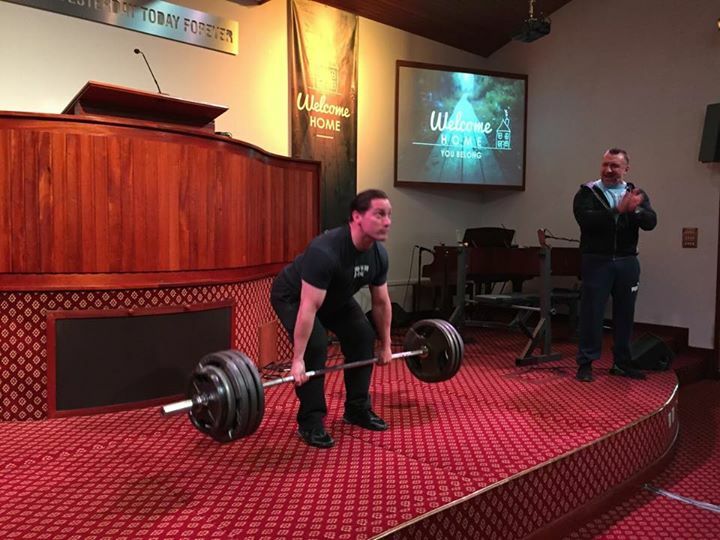 They were very encouraged when several men responded to the gospel challenge at the end of their session. Let’s pray that the men making these responses become real disciples of the Lord! 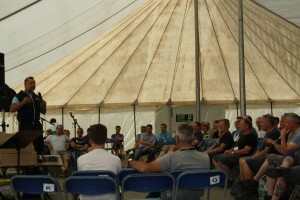 Ian, Simon and Koya represented Tough Talk at the Barracks at Aldershot during a week’s programme of Tent meetings. There were several hundred soldiers present, many of whom were either on their way to or back from service in Afganistan. Thus the message of salvation in Jesus Christ was very opportune for them. Koya demonstrated the squat, there was a bench press competition and both Simon and Ian shared their testimonies and Ian made gave the gospel challenge. As in previous years, there were large crowds outside Kensington Temple on their way to the Carnival. The team consisting of Ian, Arthur, Martyn and Koya did two outdoor meetings in the afternoon and one evening meeting in the Church building. There were a number of responses to the gospel challenge at the evenig meeting. Parts of the day’s meetings were broadcast live on Premier Christian Radio. 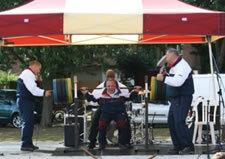 Simon, Joe, Martyn and Koya represented Tough Talk at the Fun Day organised by Loughton Churches Together. A few members of Tough Talk are members of the churches involved. 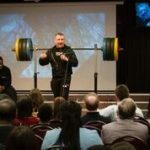 Simon and Joe shared their testimonies, Martyn demonstrated the squat and Koya demonstrated the bench press before a good crowd in beautiful weather for an open air meeting. The gospel was clearly presented and we pray that those listening will respond to the call to give their lives to Jesus Christ. Simon, Arthur and Martin were the Tough Talk team who shared this meeting with The Band With No Name. About 200 young people heard Simon and Arthur give testimony and Martin demonstrated the squat. There was a good response to the gospel. 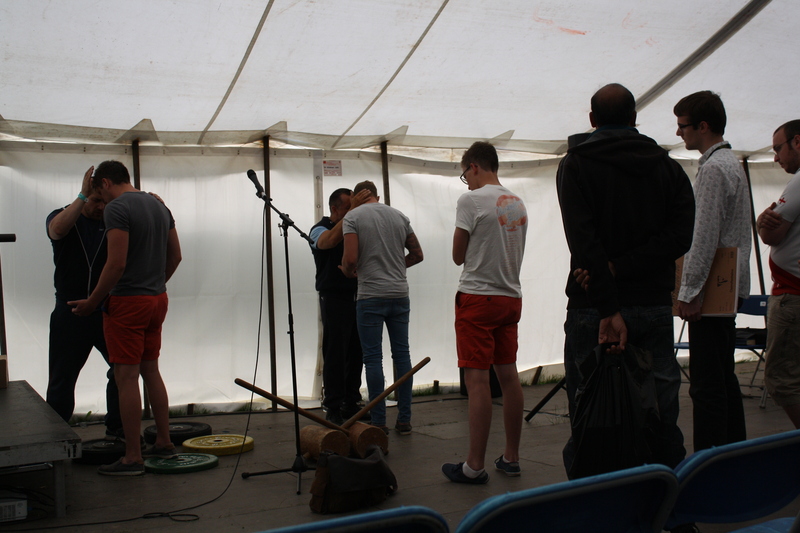 A Tough Talk team with Ian, Arthur, Martin and Chris were part of the Pentecost Festival programme in the centre of London. 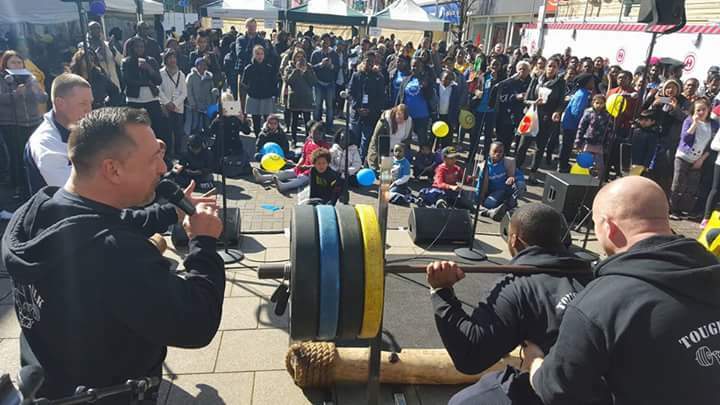 The square was packed with people on a glorious sunny day and they saw Chris demonstrate the squat, Arthur gave his testimony and Ian presented a very powerful gospel challenge,. 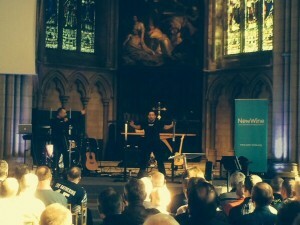 The event was featured on the BBC 1 TV programme “Pentecost” that covered events across London organised by the Pentecost Festival. The crowd at Leicester Square.